can boost response rates by up to 52%. 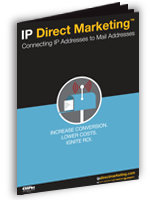 With IP Direct Marketing, you can place targeted display ads on any internet-connected device by utilizing just a physical mailing address. This means your ads are reaching only your target audience, eliminating budget waste. Simply run your online display ads a few days before your mail and email campaigns and see up to a 52% increase in response rates. With pinpoint targeting and enhanced campaign personalization, enjoy a Click-Through-Rate (CTR) of 3.2 times the industry standard. 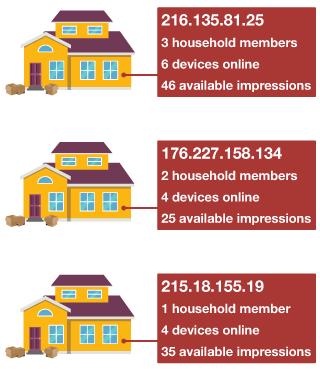 Digitally engage New Movers at the household level. Cookieless, one-to-one display advertising. Creative Marketing Programs Kansas City (CMPkc) is a full-service marketing firm specializing in digital marketing, database and CRM solutions for financial institutions, retail and other consumer and B2B segments. As an early leader in IP Direct Marketing, our digital experts can help you take full advantage of this industry-leading technology. Contact us today to explore this exciting new opportunity to connect more effectively with your target market and ignite your ROI. Copyright © 2019 Creative Marketing Programs, All Rights Reserved.